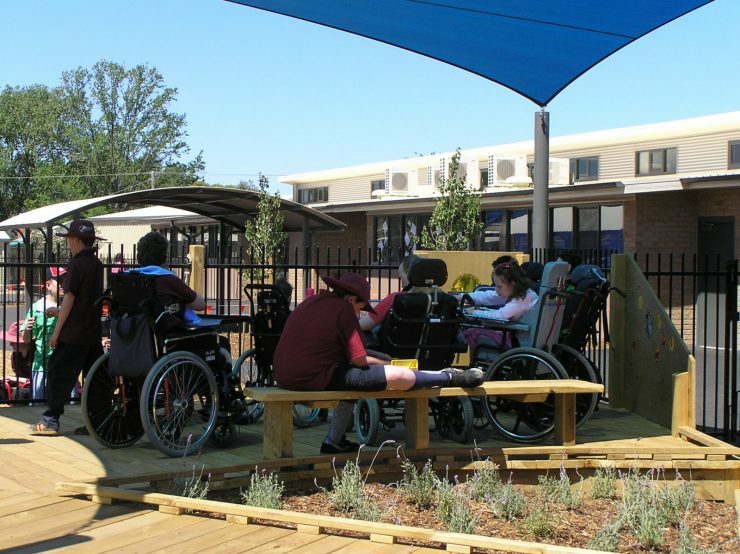 Bendigo Special Developmental School caters for students with mild to severe intellectual disabilities. 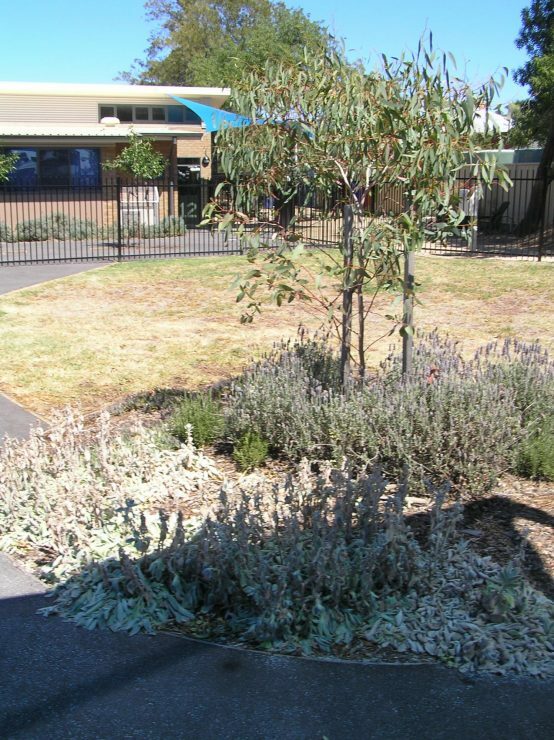 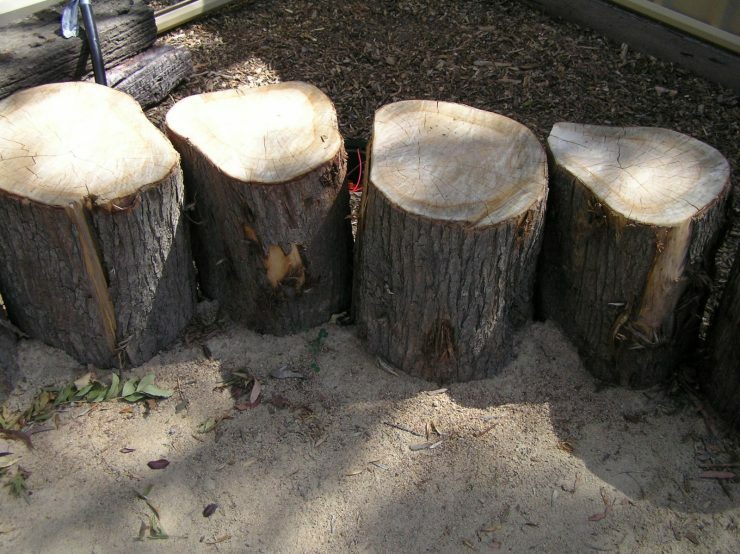 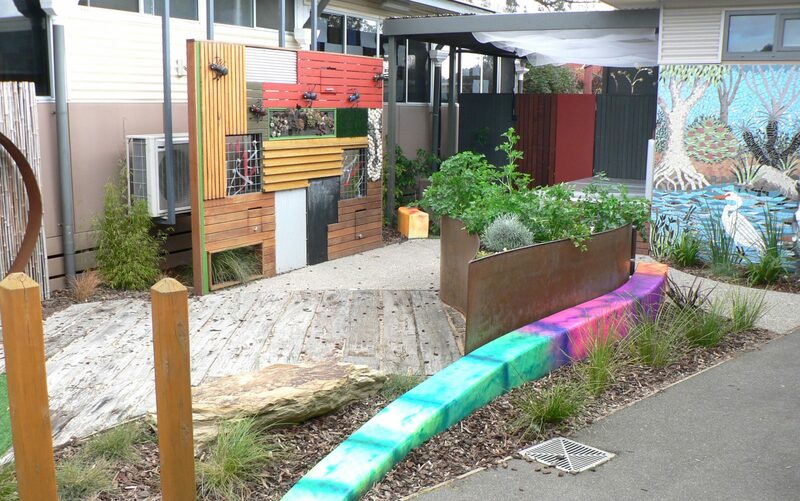 In 2006 they moved to a new site at Kangaroo Flat and Jeavons Landscape Architects were engaged to design the whole school landscape with a focus on the special play and educational needs of the students. The design project encompassed the needs for people with varying disabilities. 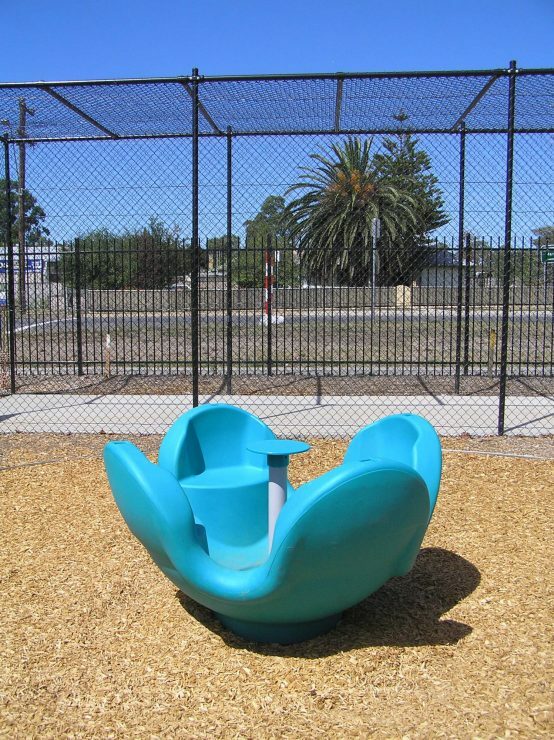 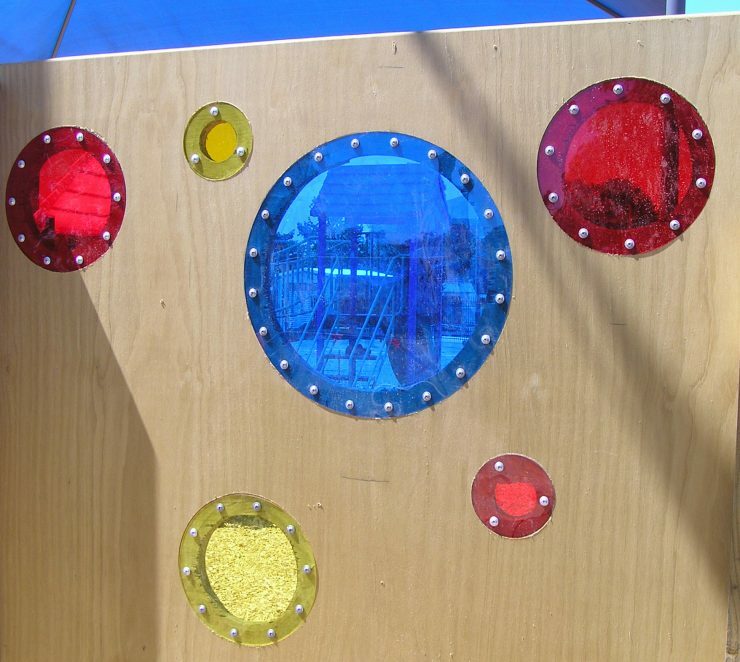 Within the 1.5ha site a variety of play spaces were designed to accommodate different needs and age groups. There are imaginative and sensory play spaces for junior and higher needs students and a large oval and bike track for physical development. 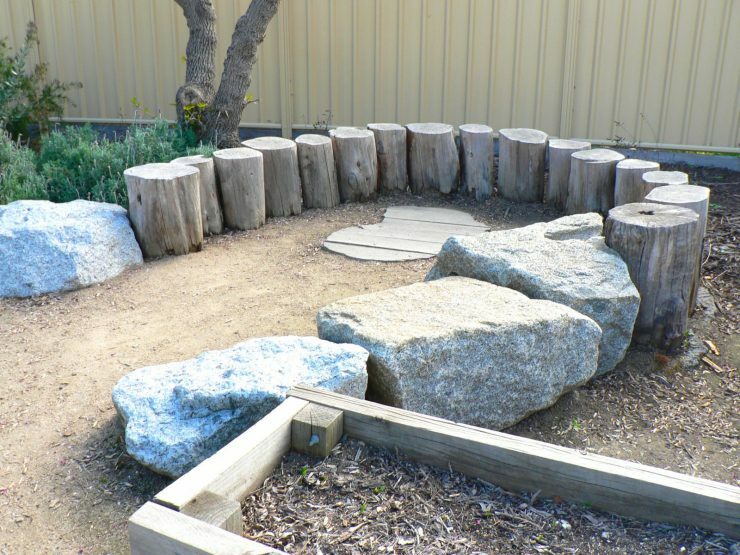 Sandpits edged by boulders form the centerpiece of the Junior playground. 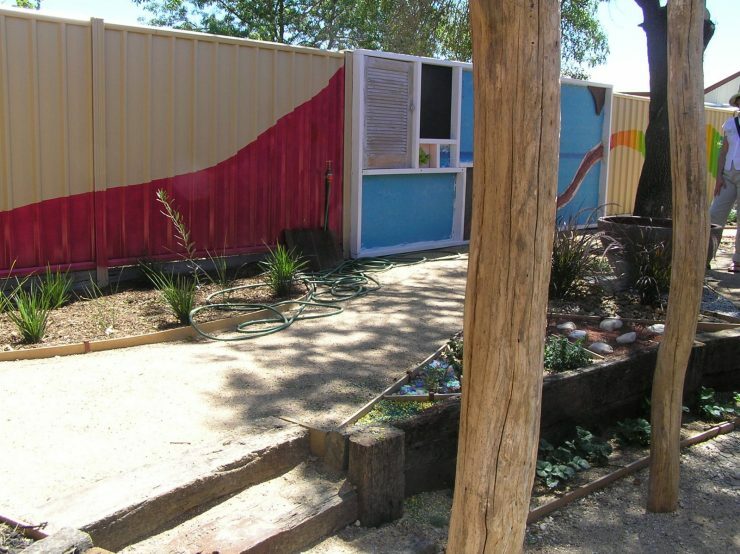 Beside the sandpit is an accessible cubby house, truck cubby and boat deck. 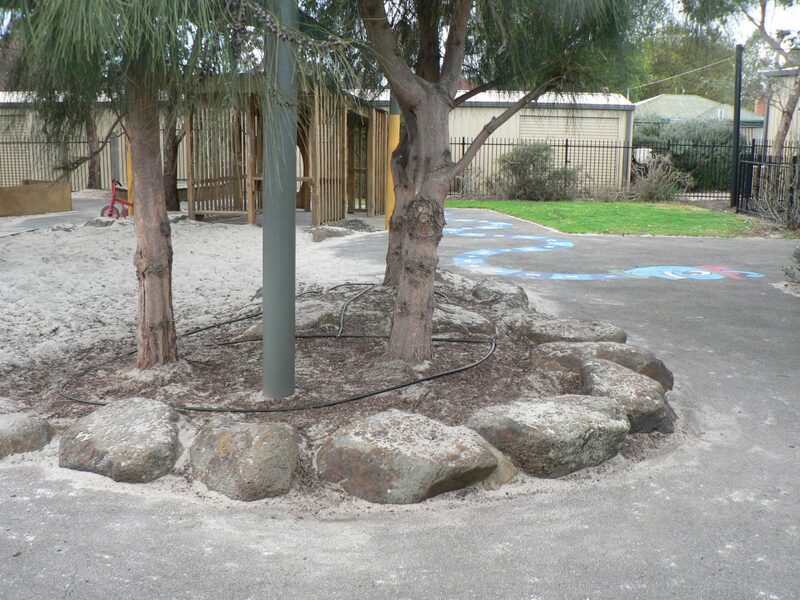 Sheltered seating areas address an open grass area, bike circuit and climbing equipment. 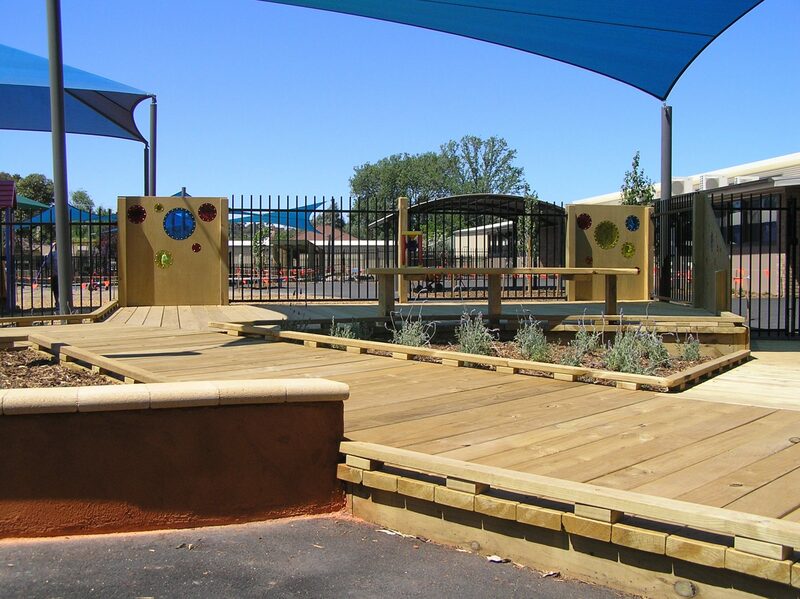 The higher needs students can congregate at a custom-built lookout deck with views over the rest of the playground. 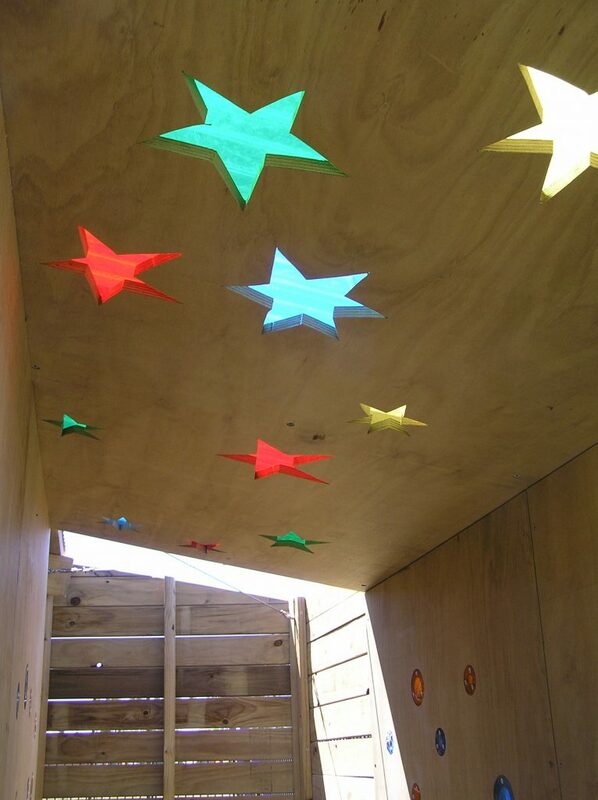 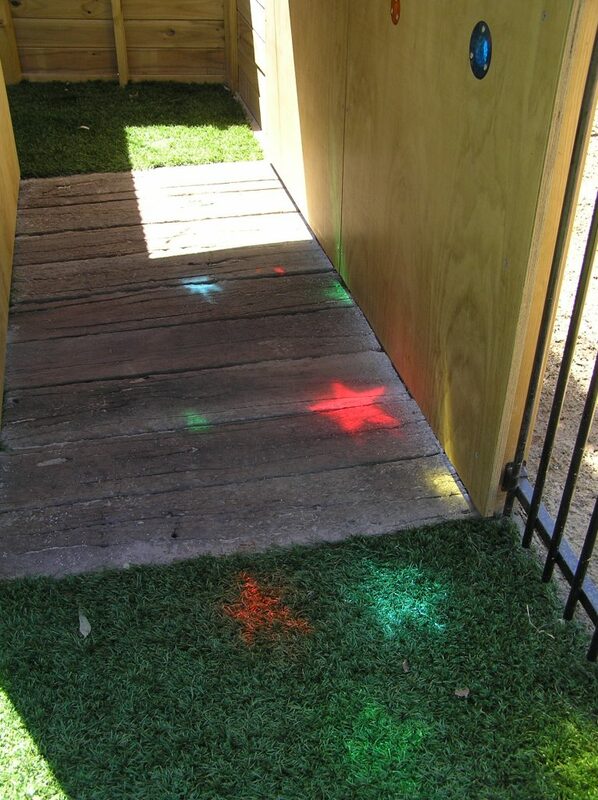 Elsewhere a path through a tall-grass forest leads to a cubby with an accessible tunnel that is studded with coloured star windows. 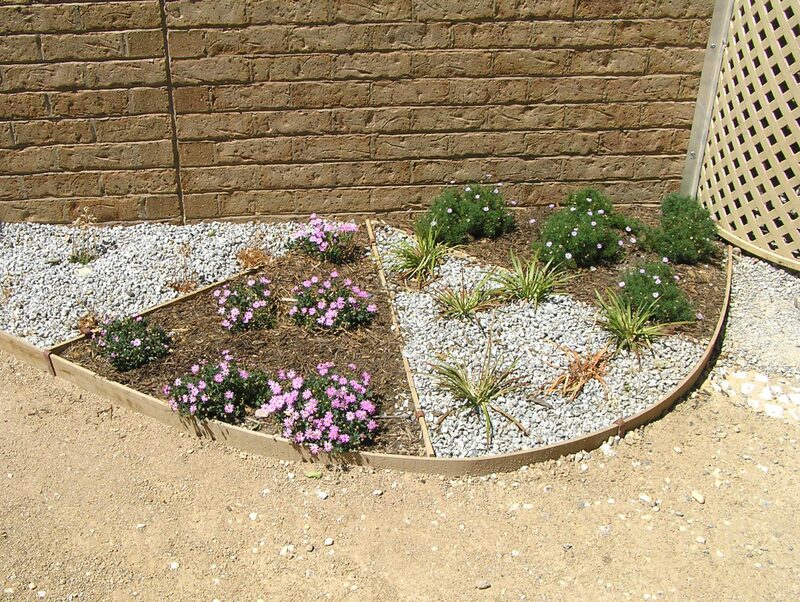 Rain and stormwater are harvested from roofs and paved areas and used to irrigate garden beds and lawns. 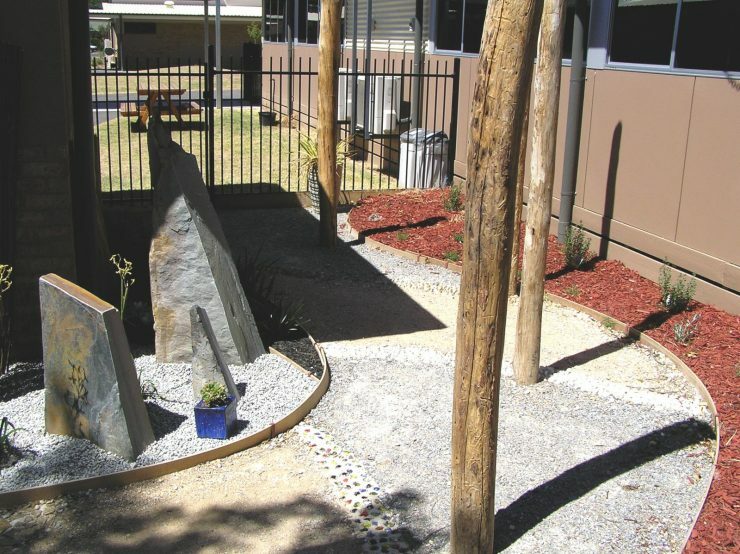 A sensory garden and outdoor space for teenagers are planned for stage two in 2007. 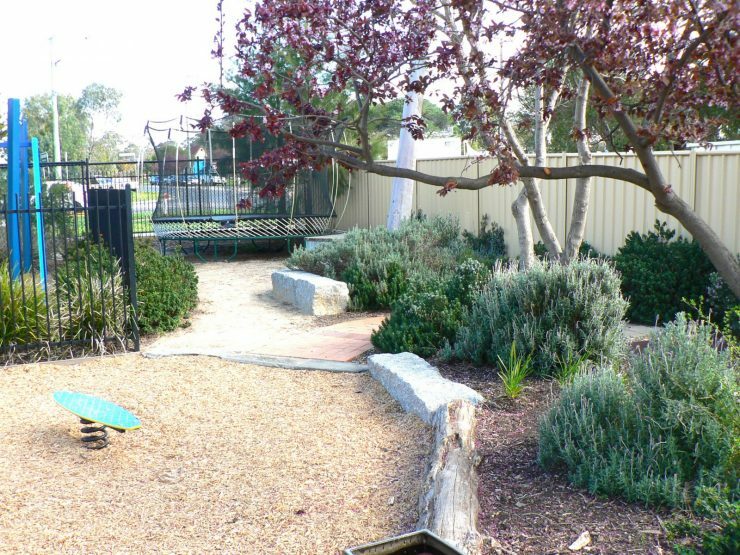 The sensory garden shall be a ‘jewel in the landscape crown’ with interactive water features, sculptures, tactile paving and sensory planting. 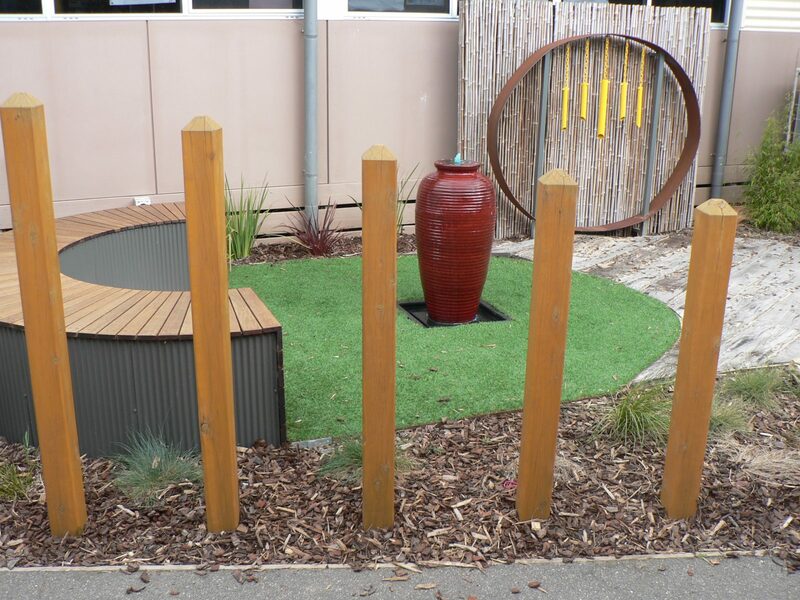 The new space for the teenage students will have cricket nets, climbing equipment, a cubby building zone, horticultural plots and quiet seating areas.